Looking pretty good… Oops I don’t have enough red. Probably would’ve been smart to count these out first. I used some creative license and made Mario’s hat green. Who knows, maybe he gets tired of wearing the same red hat all the time. Unfortunately, it looks like I botched the skin color. It looks more orange than I had planned. 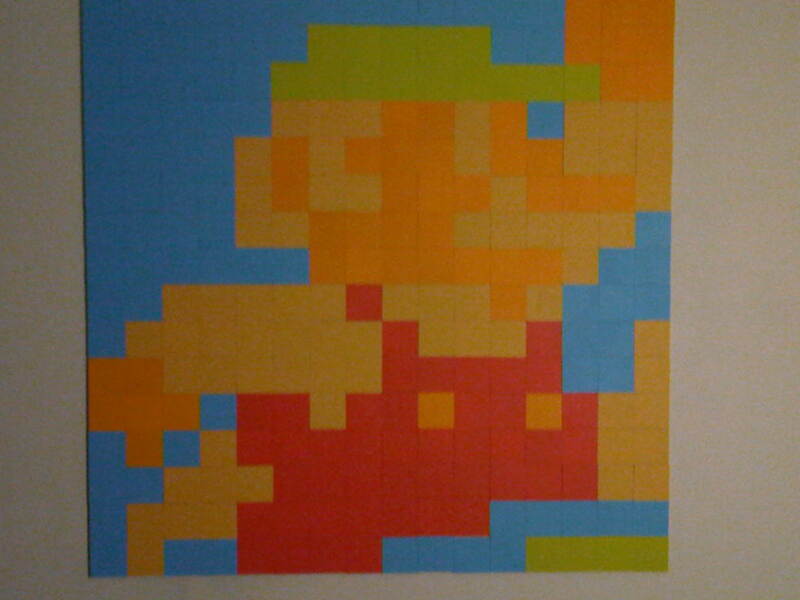 I’ll call this “Jersey Shore” Mario. So all in all, pretty successful from a functionality standpoint. 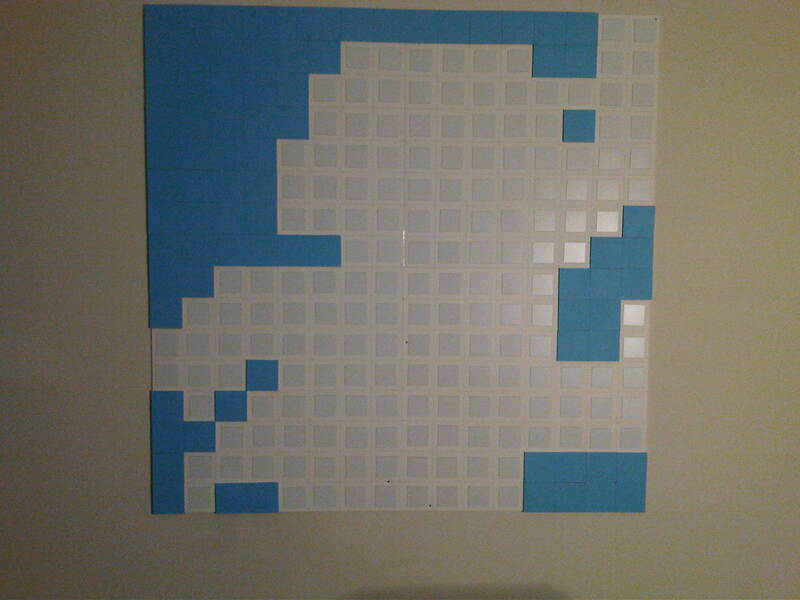 The base and tiles worked pretty much as designed. 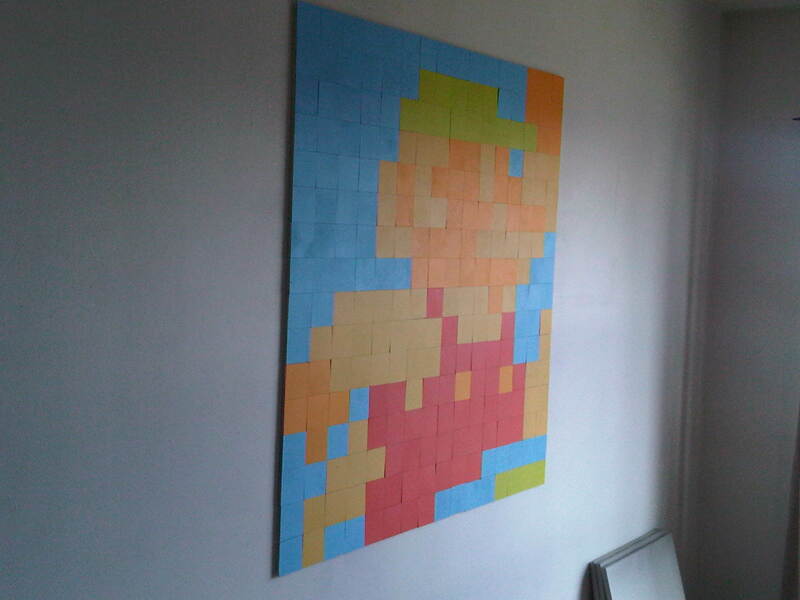 It took maybe 40 minutes to lay the tiles. The only disappointment is with some of the colors I chose. 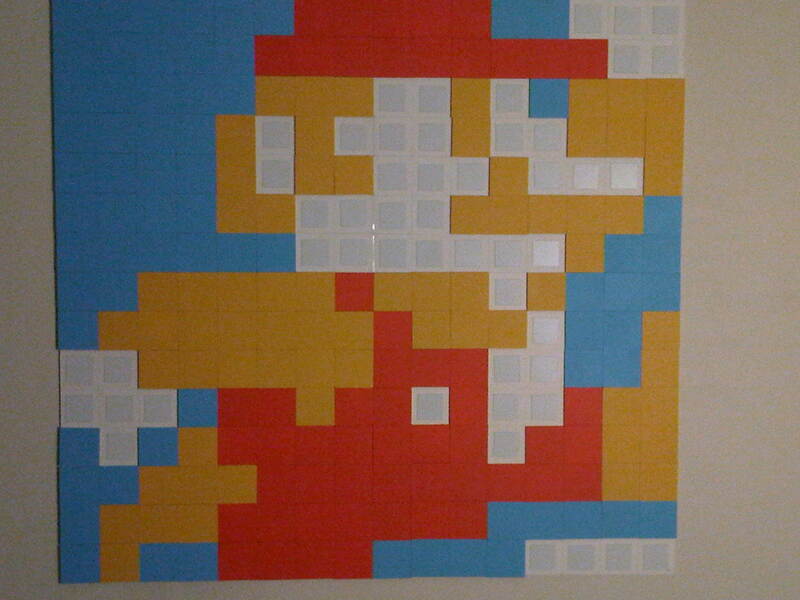 It looks like I’ll need to start up the tile making factory again soon. 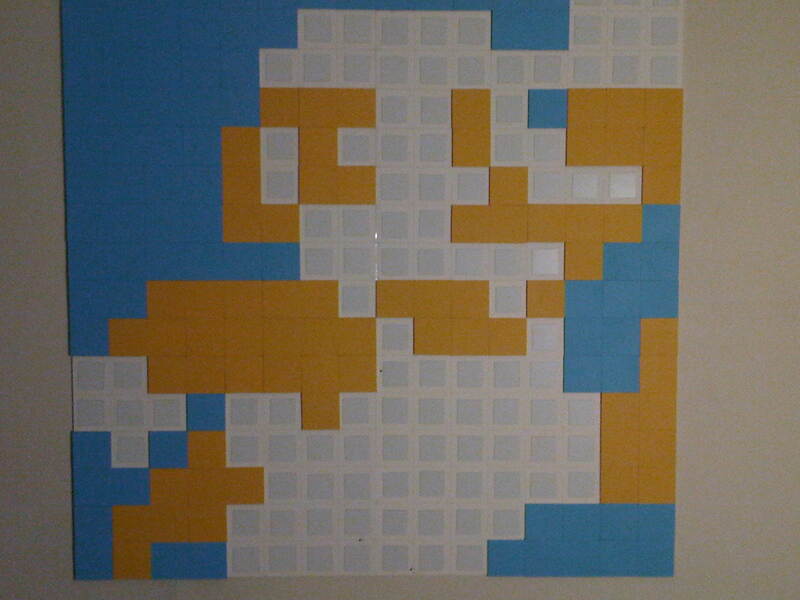 This entry was posted in 8 Bit Sprites, Mosaics, Mosiac Project, Prototype 1 and tagged 8-bit art, Mario, Nintendo, Wood Tiles. Bookmark the permalink.